Remembrance Day is this week (along with Armistice Day/Veteran’s Day) and here in Canada we wear a poppy to remember the sacrifices of those who came before, and to remind ourselves to look to the future in peace. These knit poppies are super quick to knit and I love that we as knitters can make them with our own two hands (and pointy sticks). 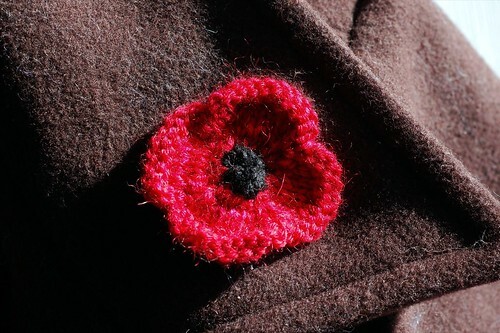 You can download my Poppy for Remembrance pattern from Ravelry here. Poppies are not bought or sold; you can make a contribution to your local Royal Canadian Legion. Oh! I knit one of these up when you first made the pattern, I know it’s floating around somewhere! Thanks for the reminder! Also worn by Australians! Thanks for the pattern. These are worn in rememberance of American Veterans, too. Sweet pattern and idea. 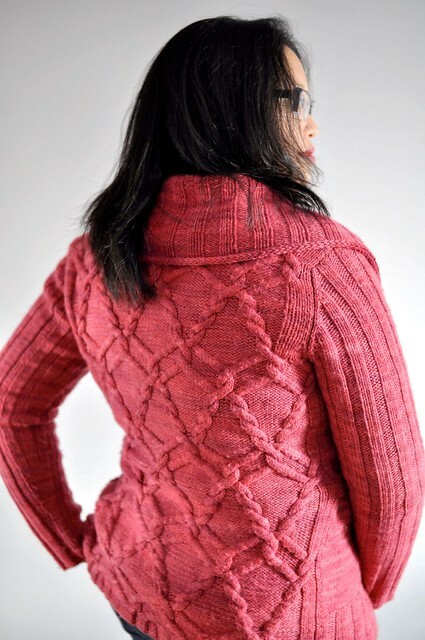 I may have just enough yarn in the right colors to make one of these. I’m so excited to make one, thanks for the free pattern! Thanks for this pattern but I don’t understand the abbreviation kfb (I’m in Britain and our abbreviations may be a little different!